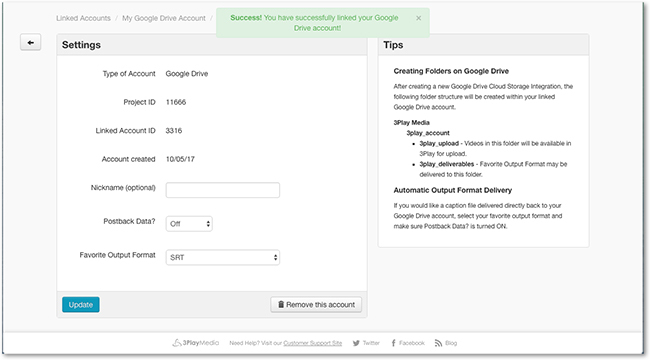 This article explains how to setup the Google Drive integration. 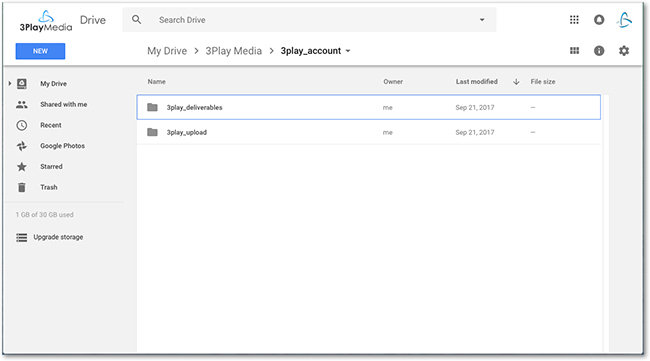 Select Google Drive from the menu. 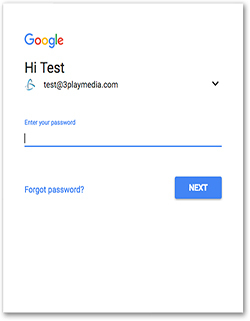 A new window in your browser will be opened and you will be prompted to Grant Access To Google Drive. 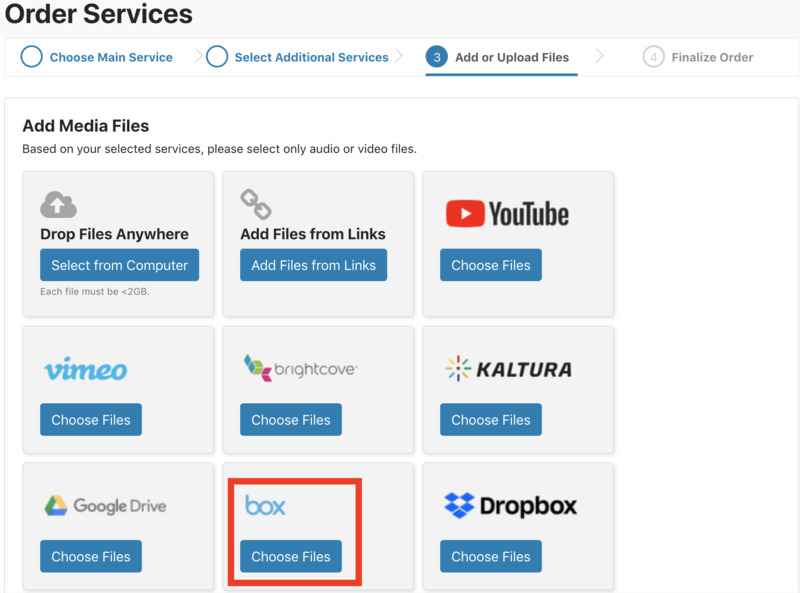 After creating a new Google Drive Cloud Storage Integration, the following folder structure will be created within your linked Google Drive account. Postback Captions can be toggled on or off. 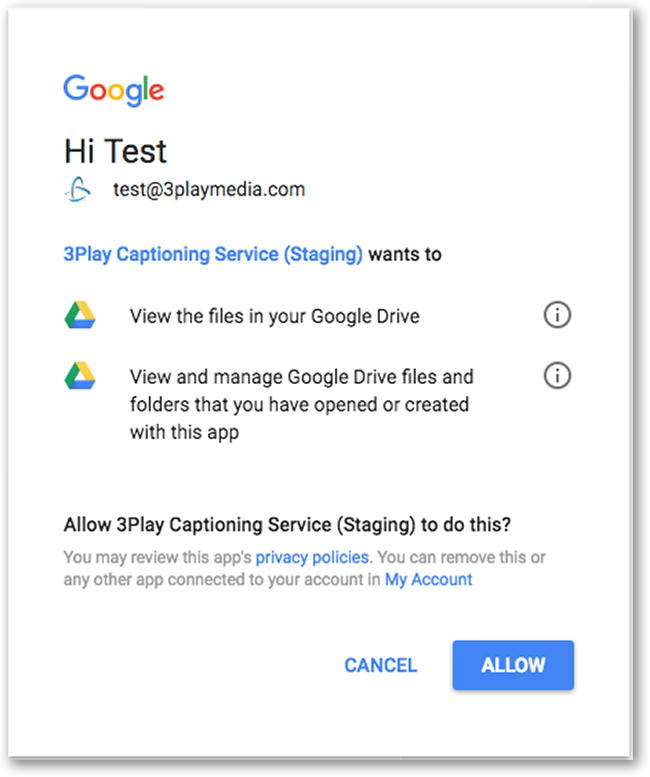 This setting will automatically post caption files back to the 3play_deliverables folder. 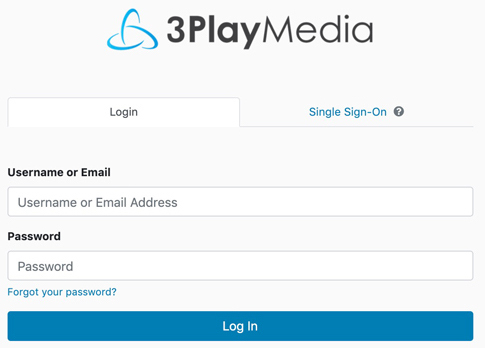 Select your favorite format, and whichever format is chosen, will be uploaded to the 3play_deliverables folder, in the linked Google Drive account. Choose your Settings and then click Update. Your account should now be synced.